Senco Gold is managing its finances carefully as it plans to set up a nationwide chain of gold jewellery stores. On the 10th floor of Diamond Prestige, a commercial building in South Kolkata's busy AJC Bose Road, business is thriving. The floor houses the headquarters of Senco Gold, the gold jewellery retailer focused on eastern India that is drawing up ambitious plans to go national. 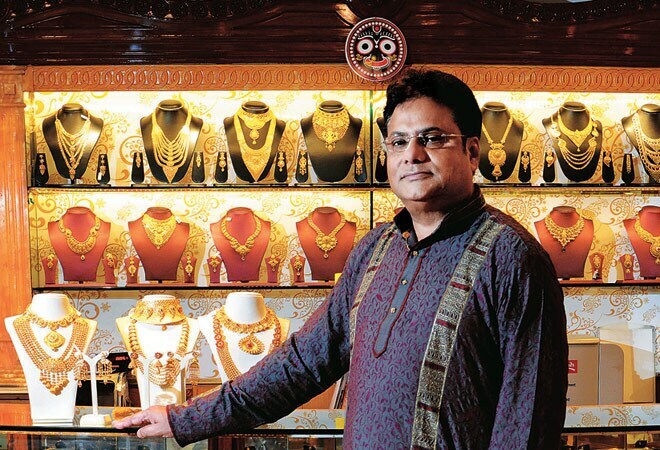 "We are the largest gold jewellery retail chain in eastern India and are now aiming to have a pan-India presence by the end of 2016," says Sankar Sen, Chairman and Managing Director. Senco's journey started in 1938 when Sen's grandfather, MC Sen, opened a jewellery shop in Kolkata's Bow Bazar, a shopping hub for gold jewellery in the city. The company, however, was incorporated in 1994. Today, it makes 500,000 jewellery pieces and consumes about 1,500 kg of raw gold every year. It reported a profit of Rs 36.49 crore on revenue of Rs 1,311 crore in 2013/14. In its attempt to become a pan-India player, the family-controlled jewellery retailer has stepped out of its traditional stronghold and is now present in the Delhi, Odisha, Jharkhand, Assam, Madhya Pradesh and Bihar markets with a network of 60 showrooms. Of these, 32 are franchisee outlets. It is looking to add another 40 stores in the next three years. The franchisee model also helps Senco's finances. The company has about Rs 120 crore cash from franchisees and leverages the money to buy gold that is part of its inventory but is owned by the franchisees. Senco has increased its sales without becoming asset heavy through this model. Now, 40 per cent of its top line comes from franchisee. To fuel the company's expansion, Sen brought on board leading venture capital fund SAIF Partners, which invested Rs 80 crore in the company in October. Vishal Sood, Managing Director at SAIF Partners, says that Senco has created a high-quality brand, has posted robust growth over the years and has a wide network in eastern India. The Rs 80 crore, however, will not be sufficient to fund Senco's expansion plans and the company is looking to raise capital through an initial public offering. The IPO is likely by the end of 2016-17, says Sen.
Sen says jewellery retailers need to maintain a large inventory at any point of time. But that requires huge capital investment. "The investment is definitely higher in the jewellery retail business, unlike wholesale and export where it is order-based," he says. So, how does he manage money in the capital-intensive business? Senco's annual working capital requirement was Rs 300 crore last year and is estimated at Rs 500 crore this year due to addition of about 15 stores. It meets this requirement by taking on loans from a consortium of six banks, led by Allahabad Bank. It also takes on short-term loans from banks in the form of gold at six per cent. Senco's auditor and financial advisor KPMG helps it in capital management and suggests relying more on gold loans, which also have a hedging mechanism. All sales happen in cash and proceeds immediately reflect in the company's books. "We buy raw gold, silver and platinum in cash. Since prices are volatile, neither the buyer nor the seller is willing to take a position," says Sen, adding that he does not speculate on gold prices. "You have to be careful not to burn fingers in speculation," he says.